Daryl Horgan scored an injury-time winner to clinch a 3-2 win for Hibernian over Ross County in a compelling Betfred Cup clash on Sunday. Neil Lennon's side bounced back from their Europa League exit at the hands of Molde to set up a quarter-final clash with Aberdeen. The result was harsh on the Staggies, who were twice pegged back after taking the lead through Michael Gardyne and then Josh Mullin. David Gray and Stevie Mallan equalised for Hibs before former Preston player Horgan popped up at the death. Following Thursdays 3-0 defeat in Norway, it was a vastly different Hibs XI that took to the field as manager Neil Lennon made six changes. County travelled to Edinburgh full of belief after winning six of their opening seven matches of the season and took a surprise lead after just 10 minutes. Sean Kelly's free-kick was partially headed clear by Efe Ambrose, but Gardyne returned a first-time volley that squirmed through the legs of the Hibs defender on the post. However, the Leith side more only behind for three minutes. After Martin Boyle had a shot saved by Scott Fox following neat build-up involving Oli Shaw, captain Gray found the net. The right-back rose high at the back post to meet Horgan's cross and send a header back across the goalkeeper and into the net. Hibs enjoyed a sustained spell of pressure but were unable to find a second. Boyle was twice denied by Fox in quick succession after finding himself in good positions. The County keeper also got down to a prevent team-mate Kelly from scoring an own goal from another Horgan delivery. 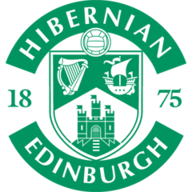 Hibs brought on Steven Whittaker at the break for Scott Martin, but it was the away side that began the second half better. Goalkeeper Ross Laidlaw did well to palm Iain Vigurs' free-kick from the edge of the area over the bar. However, the Highland outfit retook the lead in the 64th minute through Mullin's penalty. Ambrose felled Declan McManus after being caught on the blind-side by the striker and Mullin made no mistake from 12 yards. But Hibs again responded, this time levelling six minutes later. 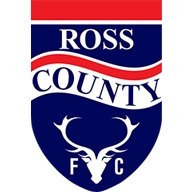 Mallan, who had taken in a Lewis Stevenson pass, shot from 25 yards and the midfielder's drive caught out the stationary Fox. Horgan then scored a stunning injury-time winner, cutting in on his left foot on the edge of the area before curling a shot beyond Fox.